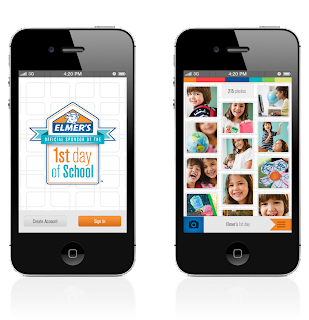 Flip Out Mama: Introducing the Elmer's First Day App! Really exciting news to share with you guys! Back to school is almost here! (That's the REALLY good news if your kids are driving you nuts like mine is!) But, that is not what I am going to talk to you about today! Elmer's, (yes, the glue people! ), have come out with a great new app! It's called the First Day App, and it is a photo sharing app and website dedicated to capturing and preserving first day of school memories! The app is free, and you can take pics and share them with friends and family. You then log into the website, and you can customize your photos, and share on Facebook or email! This would be great for sharing with our family members who don't get to see the boys very often! 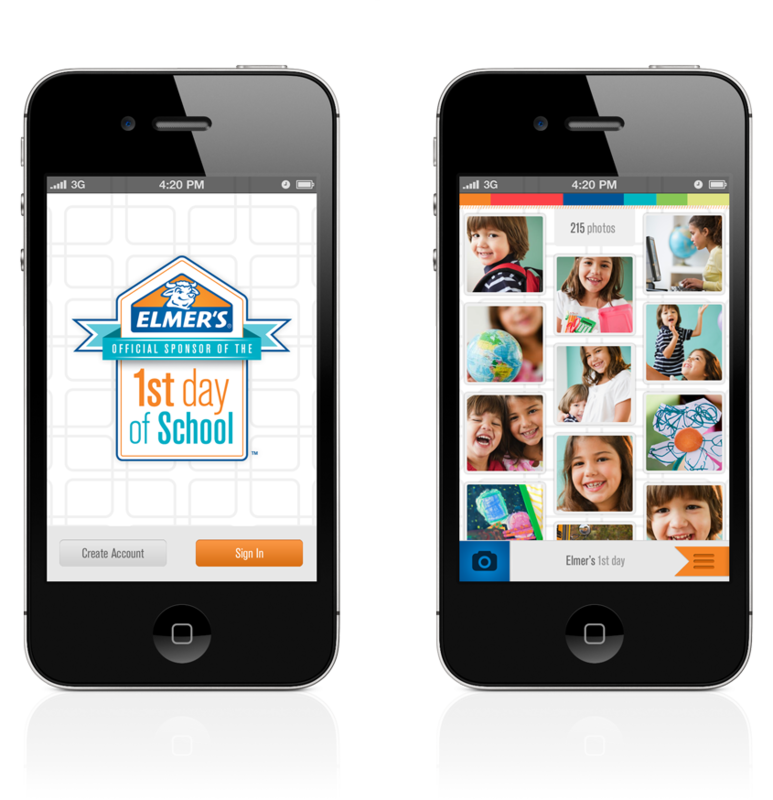 Elmer's is such an awesome company, they are donating one school supply product for each and every photo uploaded using this app! Isn't that great!?! You can get this great FREE app from the iTunes store, or by scanning the QR code on Elmer's products! So, what are you waiting for? Go get this app today!